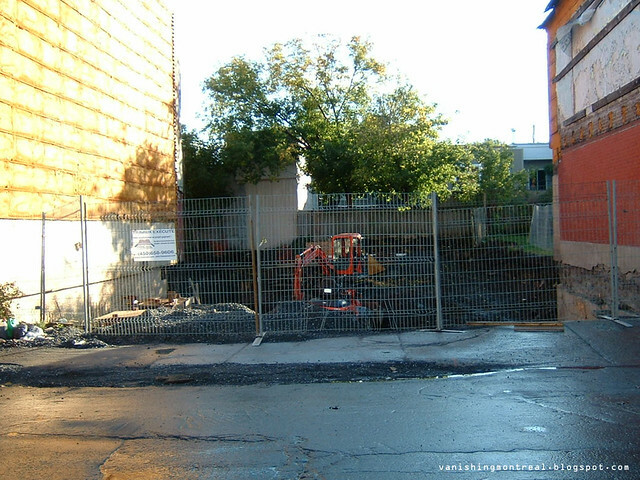 This construction project on Ste-Marguerite in Saint-Henri has been ongoing since forever. 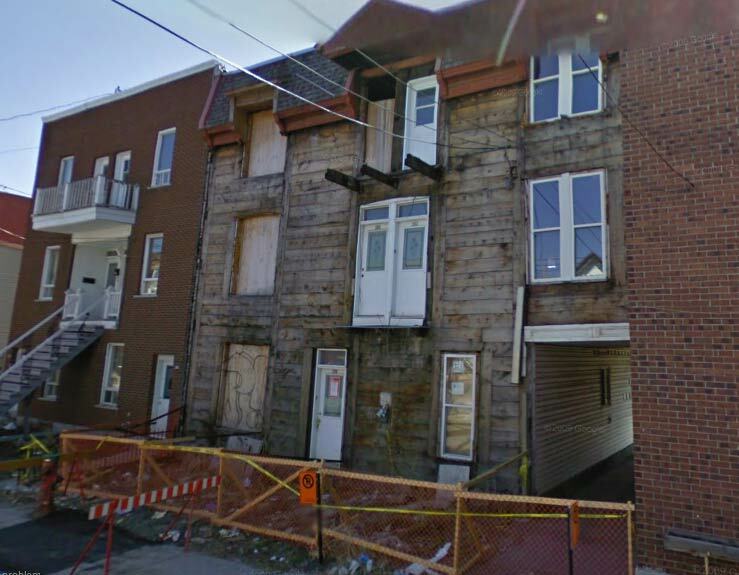 If you look at the before image from Google Streetview below, it shows the construction has been ongoing since that image was captured. 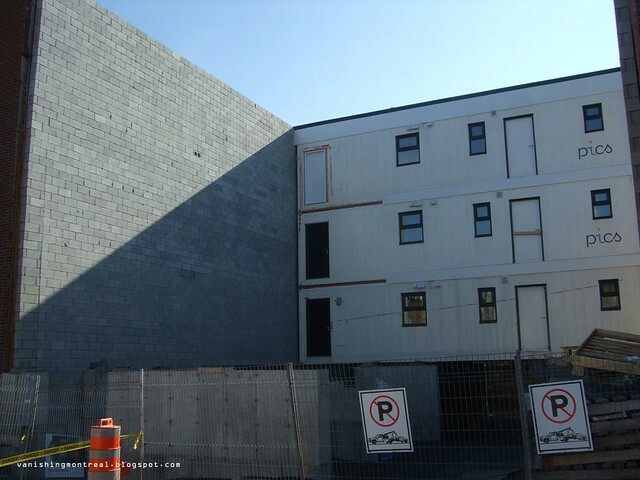 Also, I've never seen such an odd construction. What the hell is going on there? 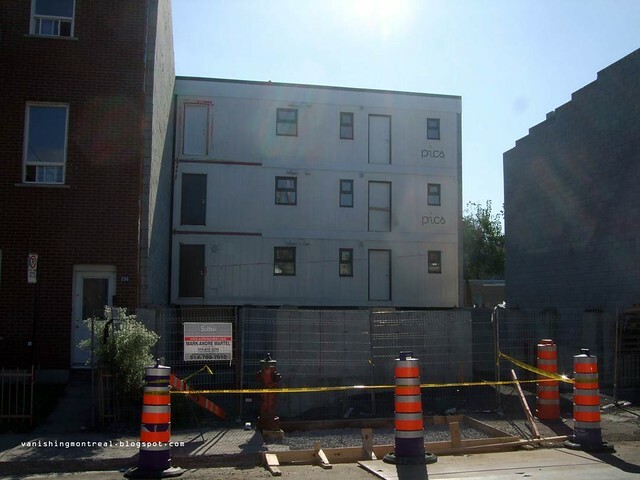 It looks like they're keeping the front as a way to maintain the typical St-Henri look.